Provides fresh produce, dairy, protein and shelf stable food (and diapers to children age 0-3 years) once every 30 days to all eligible neighbors. Families who live outside their service area can be served one time with a Temporary Assistance Package of food. Diapers are available to income-eligible families in any zip code during regular pantry hours. They also have free produce giveaways twice a month from May to October, and offers free nutrition education classes. Works with schools, community organizations, faith-based groups and child care providers throughout Ohio to increase participation in USDA child nutrition programs. Provides quick, easy reference tools for parents, teachers, healthcare providers and communities on USDA’s MyPlate symbol that helps people make better food choices. Works with Columbus area childcare centers and partners an obesity prevention by improving food and physical activity for children from birth to 5 years old. Their website also has free information about ways to stay active, healthy beverages, healthy food and more that are age appropriate for children from birth to kindergarten. Provides free breakfast and lunch throughout Columbus from June to August, and after-school meals during the school year. Youth ages 1 to 18 and youth with disabilities age 19 to 21 are eligible. Visit the website or call to find summer lunch spots, food pantries or after-school meal locations. Helps you create your own personalized meals based on the ingredients you have on hand, your favorite flavors, or your own dietary needs. Provides nutrition and healthy eating tips, recipes, articles and more from registered dietitians. Eat Right is created by the Academy of Nutrition and Dietetics. Provides feeding and healthy eating information and tips for parents of young children to transform family meals into joyful, healthful, struggle-free events, free from drama and conflict. Offers online toolkits to educate the community on the issues of obesity and other negative health outcomes, by offering offering ways to support a healthy diet, creative play, and a creative environment for children’s development and growth. They have many practical tips on nutrition and staying healthy and active. Offers interactive public events, programs, hands-on cooking classes, gardening workshops, and holds community conversations about food and culture for youth, adults and families. The classes are for all, regardless of ability to pay or skill level. 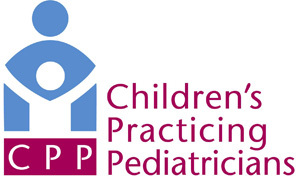 Offers families a comprehensive approach to prevention and treatment of overweight children ages 2 and older. Their website has helpful information and resources for families and providers on research studies, gastric bypass surgery, nutrition articles and more. Provides support and resources for schools to engage school professionals, families and communities in actions that lead to healthy eating and physical activity. Their website offers a lot of information for professionals about free and reduced price meals at schools, child care centers, summer programs and for individuals who have mental or physical disabilities. Provides free nutrition education for low-income adults with children and for youth in schools where a majority of the students qualify for free/reduced lunch. OSU Extension, Franklin County also offers EFNEP programs for non-English speaking families (currently available in Spanish and Somali). Visit the website for contact information. Farmers’ markets increase access to fresh fruits and vegetables in city neighborhoods and offer healthy locally grown fresh fruits and vegetables. Click below for a list of markets throughout town. Many of them accept cash, credit card, WIC benefits and the Ohio Direction EBT Card (food stamps). The online handouts have a lot of useful nutritional and developmental information for parents of newborns up to teens and the physicians that care for the child. Provides a pay-what-you-can cafe, an affordable fresh foods market, a weekly free community dinner, and a Kids Cafe meal program for students at South Side Learning & Development Center and the Boys & Girls Club of Columbus. It is owned and operated by Mid-Ohio Foodbank. This non-profit educational organic farm and nature preserve offers workshops and classes for children, farm tours, summer camps and family programs. The website provides food and nutrition information and resources for providers and families. FNS works to end hunger and obesity through the administration of 15 federal nutrition assistance programs. Provides resources and information for parents and kids ages 8 to 13 on healthy eating, play and physical activity, and screen time.